Change is hard to make in America. 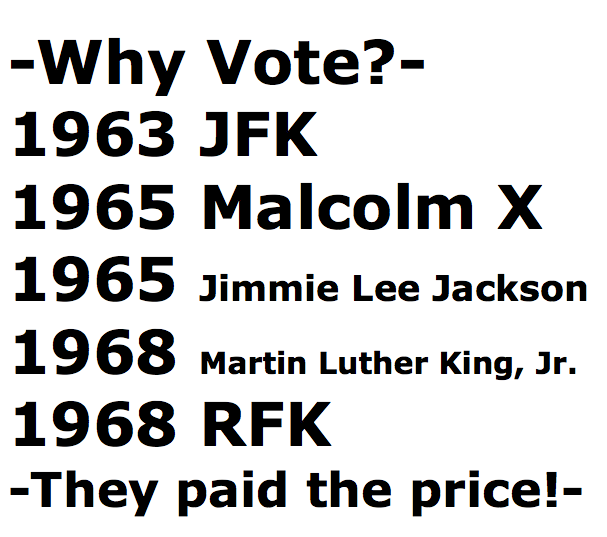 History motivates me to vote and encourage others. Apr 4, 1968 (age 39) Martin Luther King, Jr.